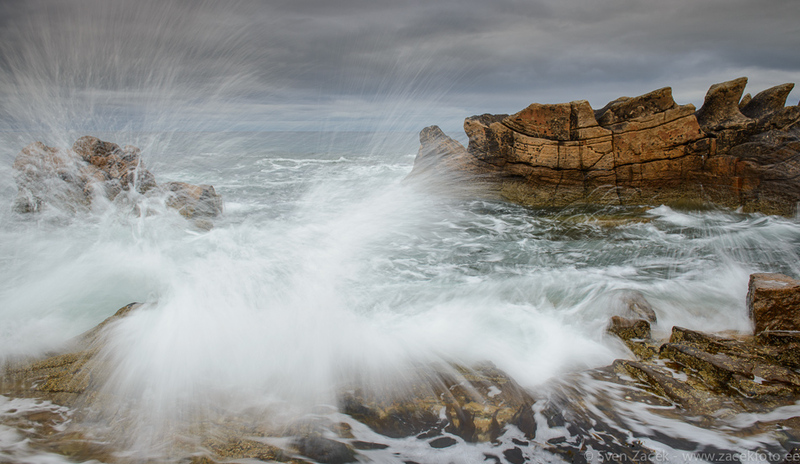 Splashing waves on the rocky coast of Scotland. The rocks on the right seem like a spine of a dinosaur. Amazing how tides have carved them through time. Photo info - Autumn: : Nikon D800E + Nikkor 70-200mm F2,8 VRII. F11, 1/5, ISO 200. Beautiful, you catched the perfect moment !